Last week, I covered some quotes from the first full length original Disney film, Snow White. It was only fitting giving that this year we are celebrating the 80th anniversary of the release. As I mentioned in last weeks post, there is plenty of life lessons to be taken from the stories told by our Dear Walt Disney. I find that the classics are often overlooked because of how evolved animation has become. We have become dazzled and wowed by the advances of modern technology, but these stories also deserve a little credit and through the nostalgia of watching them, we can be reminded of a simpler time and reflect on the underlying messages that still hold true today. 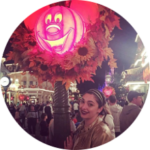 As I share memorable quotes from Disney’s films in future posts, I am going to go in order of classics and uncover some of the lessons these stories were meant to instill in us. This week, we take a look at the second animated film released two years after Snow White, on February 23, 1940, Pinocchio. This story is a fantastic stretch of imagination that introduced audiences to a carpenter and his creation. What can we learn today from a story that was released 78 years ago about a little wooden boy who came to life? Plenty. Let’s dive right in. Perhaps the strongest message of the movie was about making the right choices, and listening to your intuition or your conscience. Jiminy Cricket became the voice of reason in Pinocchio’s ear, always trying to encourage him to do the right thing, the safe thing. In a way the story tellers introduced an idea to audiences that everyone has the power inside of them to make decisions that could lead them to live a good life, or could lead them to trouble. 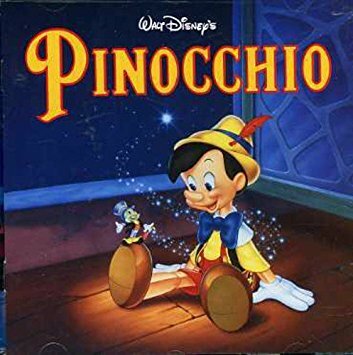 If you watch closely, Pinocchio ends up making decisions that put him in harms way all because he ignored his good conscience and was lured to Pleasure Island where he did some not so savory things for the time period this movie was released. Jiminy reprimands him and takes him back home, but because of his actions, there is a deeper repercussion that affects his maker and father Gepetto. Reflecting on this, I notice that this quote and the examples associated to it in the movie identify a secondary and equally as strong teaching moment. It shows that for every action you take, good or bad, there is a ripple that affects others. Pretty powerful and insightful messages if you pick up on the message. Magic and wishes, that’s what Disney has built his parks and his legacy around. Of course, this is the first film where we outwardly see the idea of wishing upon a star, which carried itself on to later movies and stories released. Wishes can be translated across so many different thought ideologies, such a prayers, positive intentions, or daily devotionals. This quote inspires hope, and the learning lesson to be gained from it is that when you put something out there as a wish, and you place all your positive thought and intention into it, the most fantastic and magical things happen. This isn’t some kind of sorcery that Walt is sharing, it’s just laying the foundation to build future generations of dreamers and wishers who eventually become the doers and the shakers of the world. Fundamentally all that Pinocchio wanted was to be a real boy, but this quote is such a powerful learning lesson for anyone. The Blue fairy is listing what is takes to be a real genuine person, a person of integrity and value. There are obviously so many more qualities than these three qualities, but it’s a solid starting point for anyone on the path of self-discovery and leading a real life. Now a days we see so many people putting filters on their lives, dressing things up to give the outward appearance that they are real and genuine. How exhausting is that? What the Blue Fairy provides here is a quote that stands the test of time. There is bravery in showing your true self, recognizing that every day is an opportunity to be better than the day before. There is truth in sharing a struggle with others, and there is an unparalleled realness in showing your true self, good or bad. Fingers crossed, it’s more good. Finally, being unselfish can be interpreted in a variety of ways. It’s giving to those who are less fortunate, it’s sharing good advice, or pointing someone in the right direction even if it doesn’t benefit you personally. A lot can be taken from this quote, but as I said, it’s one that stands the test of time and resonates with viewers. What lessons did you learn from this movie MainStreeters? Share some of your take-aways from this classic film. We would love to hear them!